Well, the answer isn’t just yes… it’s a RESOUNDING yes. Because olive oil can have truly wonderful effects on your dog. Just like us, dogs also suffer from dry, flaky skin. A much cheaper alternative to expensive conditioners is olive oil. Because olive oil is rich in phytonutrients, vitamin E, and omega-3 fatty acids — so it can moisturize your pup’s dry skin (and add shine to a dull coat) from the inside out. Try adding 5-10 drops of olive oil to your pup’s food, twice a day, for several days. Once you see an improvement, you can continue to feed your dog a few drops a day to help keep their skin and coat looking good. 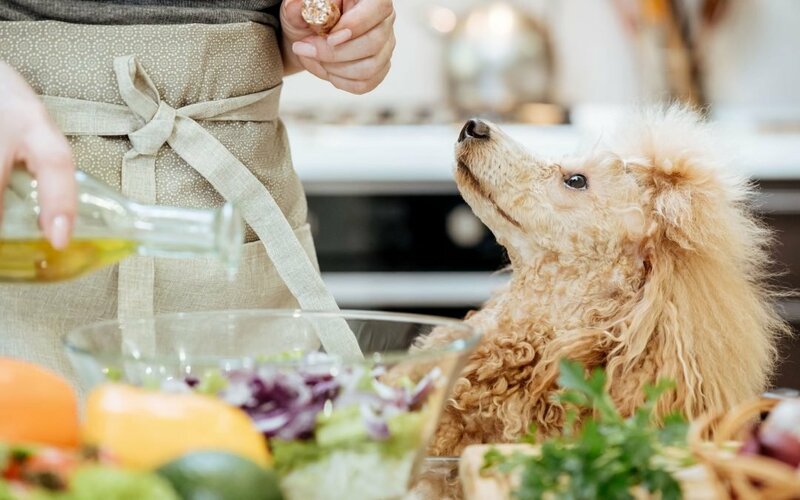 Avoid giving more than 1/2 tbsp of olive oil at once, as your dog may develop diarrhea.1 Continue reading below for proper feeding ratios for your dog. 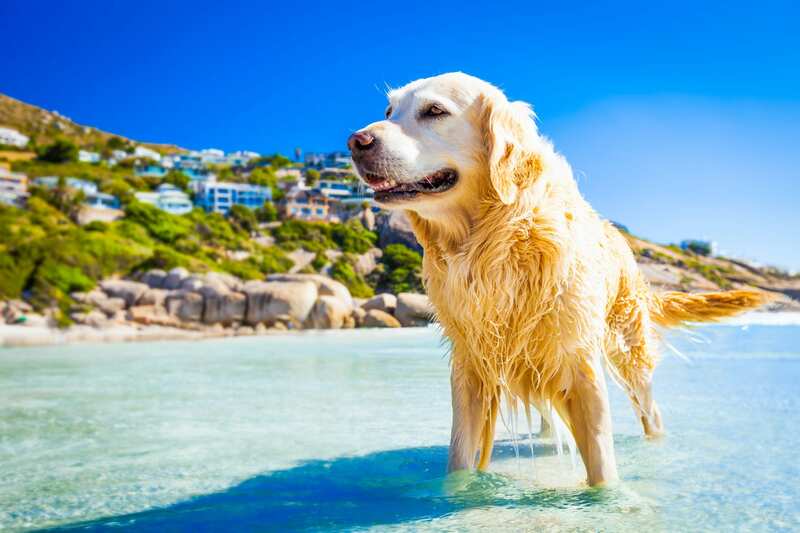 While applying olive oil directly to your dog’s skin may seem like a good idea, it can increase their urge to lick this now delicious area, which could further aggravate dry skin. 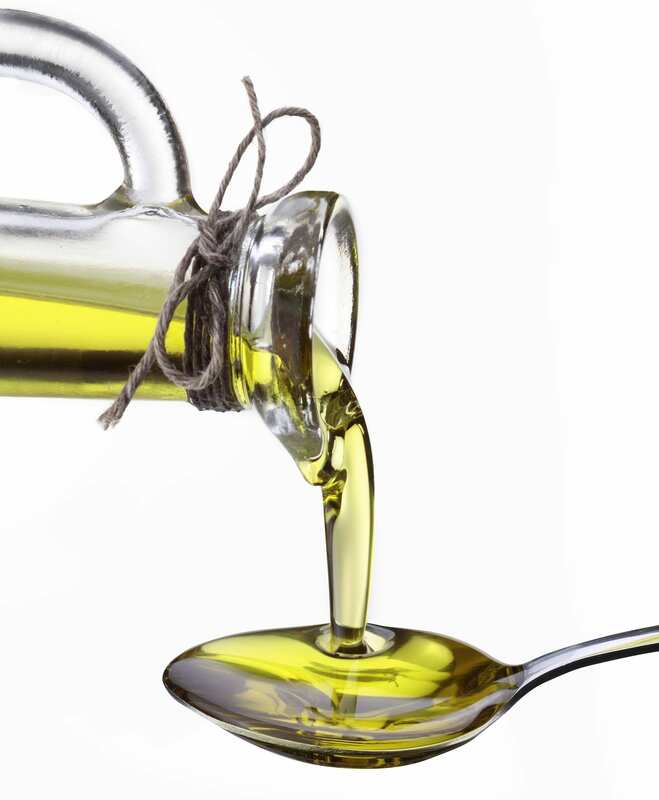 And, choose extra-virgin olive oil, as it has a lower acidic content and a fresher taste. Olive oil is rich in antioxidants. Eating plenty of antioxidants has been shown to be effective in fighting free radical damage that can cause certain illnesses, including dementia. Given these results, it would appear that olive oil might help to protect your dog’s brain from mental decline. Adding a bit of olive oil to your pup’s daily diet could prove beneficial for brain health, especially if your dog is getting on in age. Speaking of all those wonderful antioxidants, olive oil contains very special carotenoid antioxidants, which can help to improve the immune system. 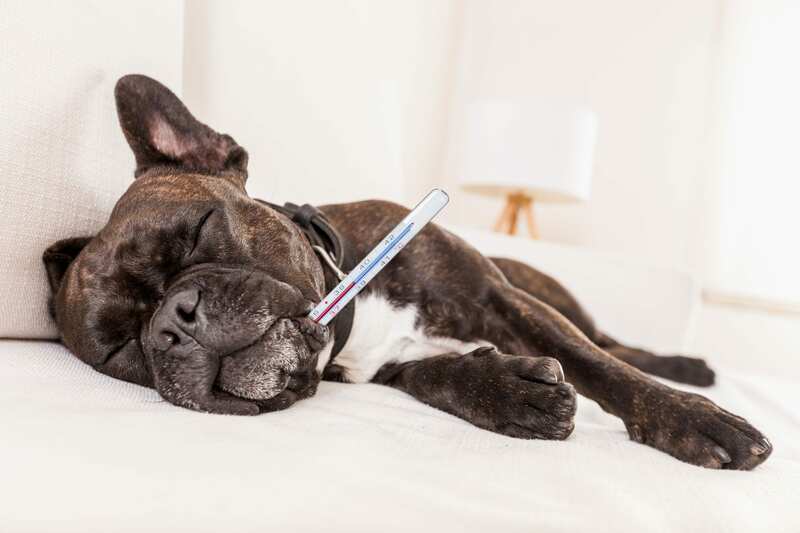 Just like humans, dogs battle colds, especially around the change of a season. So consuming a few drops of olive oil with their meal might help your dog fight off nasty bugs. When your dog is constipated, it’s hard to feel useful. But one of the most effective remedies for doggie constipation is olive oil! Adding olive oil to your dog’s food can help them to enjoy it more – especially dry kibble. If they’re a picky eater, they might enjoy a new flavor, especially one that they associate with the mouth-watering smell of cooking something good in the kitchen. What Is The Right Amount Of Olive Oil To Feed My Dog? Who knew that good ol’ olive oil could be as healthy for your dog as it is for you? Is there anything that olive oil can’t do?! Just remember: more of a good thing is not better in this case. Stick to the recommended dosage for the best results. If the olive oil doesn’t seem to help your dog, it’s time for a trip to your vet. Flaky skin and constipation can also be signs of more serious conditions.